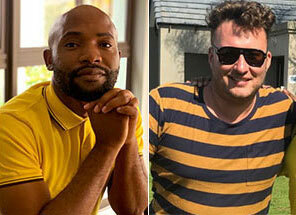 Phathutshedzo Makwarela and Gwydion Beynon have to go down as Mzansi's first ever celebrity TV scriptwriting team. 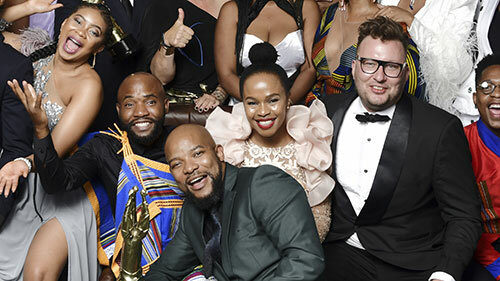 They've been making headlines with a pizzazz that we've never seen from scriptwriters before, bringing a glamour to the art of TV scriptwriting which is crucial for the South African TV industry. 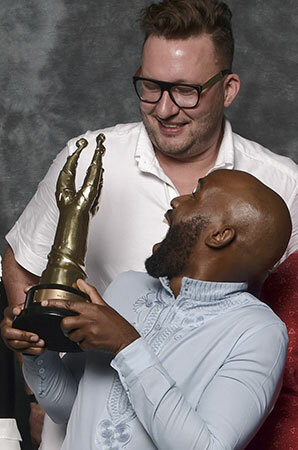 Their series The River won 11 Golden Horns at the SAFTAs this year, including the Best Scriptwriting category, and now they're bringing South Africa's first Xitsonga series to life with Giyani: Land of Blood on SABC2. TVSA: How did the two of you meet? Phathu: We met at Muvhango, about thirteen years ago. We were both so young and inexperienced! I was already employed as a researcher, a storyliner and a scriptwriter. Gwyd came on board as a storyliner. We didn’t like each other much at first, but then we slowly started to realise that we both shared a real passion for storytelling. We started working on stories together, and found that we had complimentary skills, and enjoyed working together. TVSA: How did you become the writing team that you’ve become? Gwyd: We are both fascinated by story. We eat, drink and sleep story. It really is a calling. When we watch films and television, we are always analysing how stories get told, and how we can better our craft. Over the past thirteen years, we have written thousands of hours of television together. Over that time, we’ve almost created a story language between us, a ‘short-hand’, that allows us to quickly make decisions. 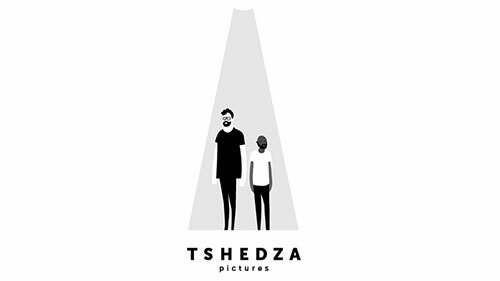 TVSA: Please can you give us perspective on Tshedza Pictures? Do you both own it? When was it started and why? Phathu: We started Tshedza Pictures eleven years ago. We are co-owners of the company. We spent many years pitching shows to different broadcasters, and for many years the only answer we ever got was, ‘No!’. So it is not an overnight success. It has been a long, slow process of slowly building up our skills to the point where we could create and produce our own content. TVSA: Is The River your first production under this production company? Gwyd: Yes, it’s the very first production we’ve ever done as a production company. It was very unusual for a channel to give a young company such as ours the responsibility of producing 260 episodes of a show, for a brand new channel. But we were very grateful to have Shona and Connie Ferguson who came on board as supervising producers, who helped us immeasurably in putting the show together. TVSA: Please give us insight into your process… where do you start? With a storyline? With characters? Do you write together? Phathu: When we start a show, we generally try and boil it down to a few key relationships. Who is the lead on the show? We began the River with the idea that we wanted to work with Sindi Dlathu. We wanted to create an incredible character for an actress that we had known and loved for many years. We knew that audiences knew Sindi as Thandaza on Muvhango, so we wanted to create a completely shocking new character for her to inhabit. That was Lindiwe Dlamini. Next, we tried to identify a new story world in which we wanted to see that character. And we realised that mining remains such a contentious and fascinating part of South African life, we could use it as a backdrop to our story world. After that, we tried to identify what kind of a story we could tell with that character, in that world. And we decided that if we were going to create a super-wealthy family, we should balance it with a super relatable second family. Which is when we decided to create the Mokoena family – and made the decision to put them into a squatter camp. Gwyd: In creating telenovelas or soaps, one of the hardest things is to create a link between the different families on the show that will persist and keep providing drama on the show. 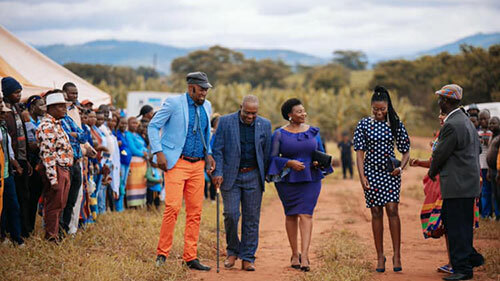 When we finally figured out the idea that Tumi Mokoena had been abandoned by Lindiwe Dlamini, and then picked up by Thato Mokoena and raised as his own daughter, we realised that we had the show. It provided the perfect dramatic irony that we always love to work with on all the shows we work on – where the audience knows secrets that the characters don’t. TVSA: How do you get past a major, sticking point disagreement? Gwyd: We have a policy that the best idea always wins. We don’t take these things personally. It’s just TV, after all! Sometimes, one of us will give in to keep the peace, but mostly we tend to agree on what the best idea is. Gwyd and Phathu pitching at Cannes. TVSA: When you work together, does one person type and the other dictate? Please give us the inside scoop on how your process works. Phathu: When we work together, we generally just talk - there isn’t actually a lot of writing! We share stories from our own lives, we debate topics, meanwhile the whole time we’re slowly building up the story in the back of our minds. Then one of us will go home and write it up into something that makes sense. Gwyd: What people don’t realise is that a lot of writing is actually just talking and thinking. You need to have a great idea before you put it down on paper. So much of our time is actually spent talking. TVSA: How was Giyani: Land of Blood born? Did the SABC put out a brief that Tshedza Pictures pitched for? Did you pitch it to them? How did it come to be? Phathu: Giyani is a project that was first developed about five years ago. It’s been a slow process in bringing it to screen, but we’ve had some wonderful champions at the SABC who have fought to bring the show to life, and we’re ecstatic that at last we have all succeeded in doing so. TVSA: How have you ensured that your writing is as true to the Xitsonga language and culture as possible? 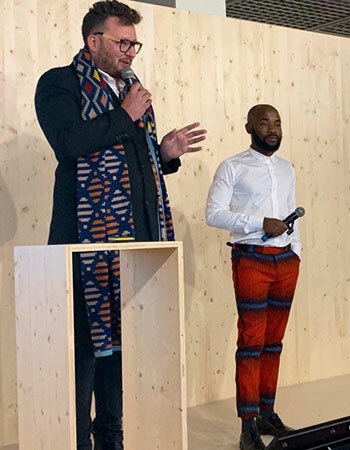 Gwyd: We work with a Xitsonga language specialist, and researchers, to ensure that we capture the essence of the culture as best as we possibly can. We have always seen this project as more than a TV show - it’s a showcase for a culture and language that has never been seen on South African TV before. 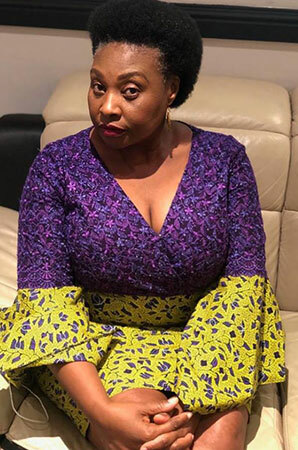 TVSA: The casting of Yvonne Chaka Chaka… let’s talk about that for a bit. She’s never acted on TV before - is this why you cast her? - as the ultimate Open Up the Industry:). Why Yvonne? Phathu: Firstly it’s not true that Mam Yvonne has never acted before. She was in Muvhango years ago. Yvonne is a national treasure who we adore and love. We just had to work with her and we are beyond grateful that she agreed when we came knocking at her door. TVSA: What does it feel like when you a watch a show you’ve created? Phathu:It’s thrilling, to be honest. Just to know that hundreds of brilliant people - from actors, to art directors, to editors and set builders - to bring to reality an idea that began in our heads - it’s an amazing feeling! All their shows are the same. Same themes, same characters, same stories, different titles.